LONG ISLAND BRIDGE, MOULTONBOROUGH  NOT! 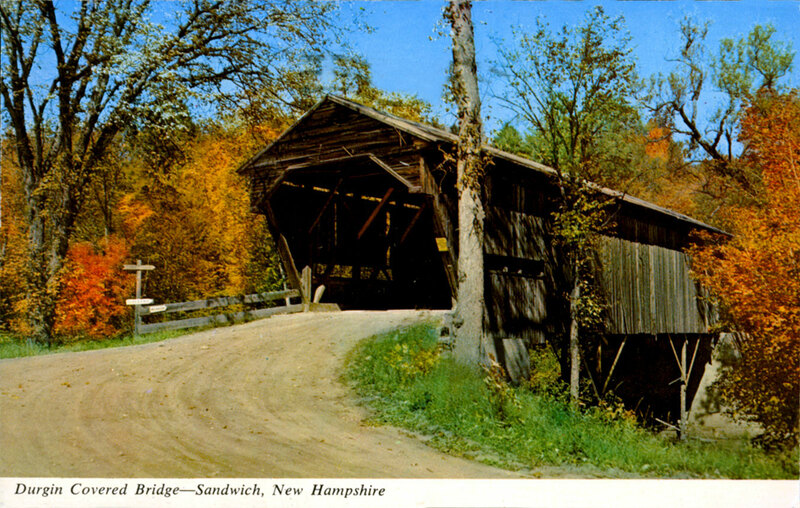 Although identified as the Long Island Bridge in Moultonborough on the Lake Winnipesaukee multiview postcard, this is NOT that bridge! 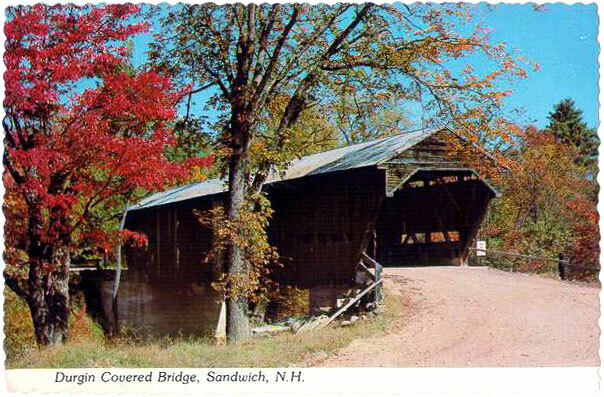 This photo is of the Durgin covered bridge, which spans the Cold River in Sandwich, NH. 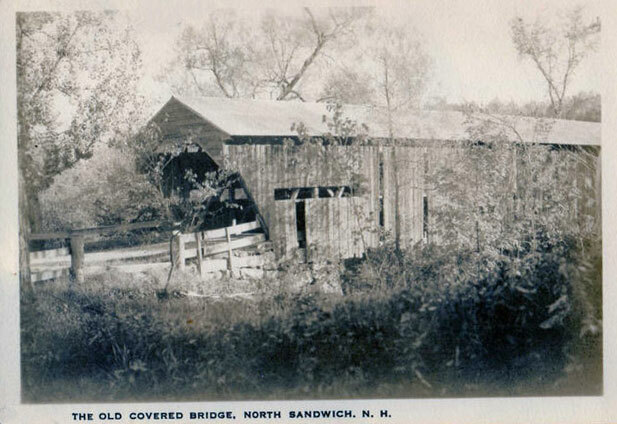 The first bridge in this location was built in 1826. The current bridge was built in 1869 and rehabilitated in 1983. Here are additional photos of the Durgin bridge. 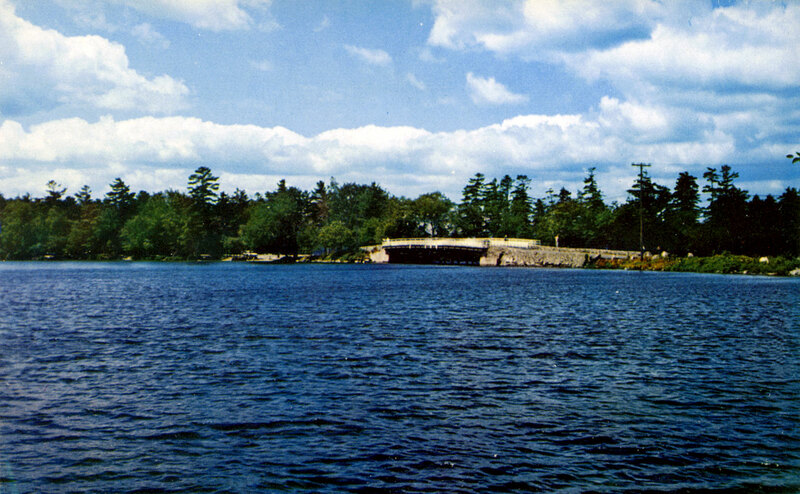 Now, here are a couple of photos of the actual Long Island Bridge in Moultonborough. The first photo was taken in the mid 1970's by Bill Bardsley. 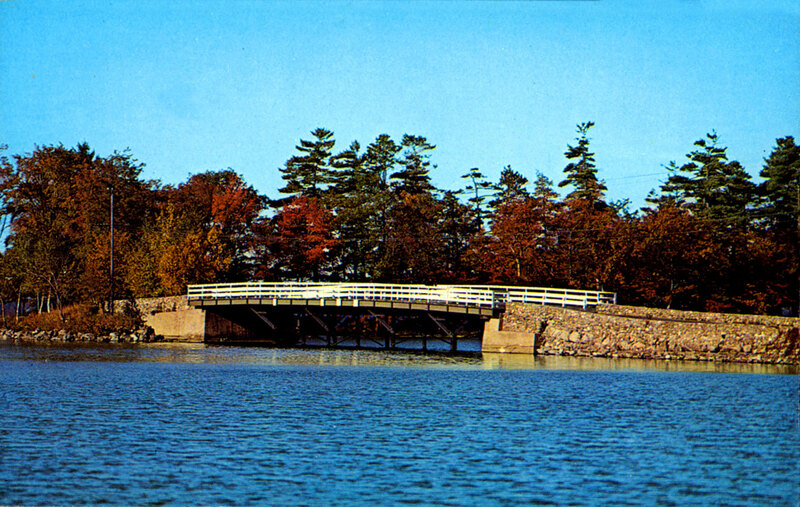 The postcard caption read, "This bridge connects Moultonboro Neck, on the mainland, with Long Island, the largest island in New Hampshire's largest lake."